Usually when you walk among a food strip, there's one that will catch your fancy. This one, Cucina Norte did catch my eye. Their bait? Bagnet. 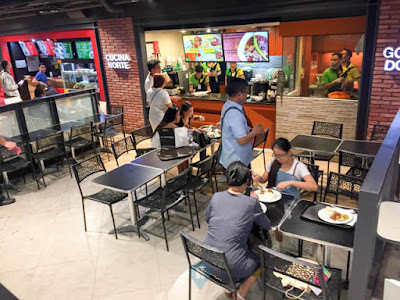 After having my fair taste of bagnet in one resto in Magallanes, then having a taste of the real one in Vigan, I happen to see this small hole in the wall restaurant at the SM food court in Makati. 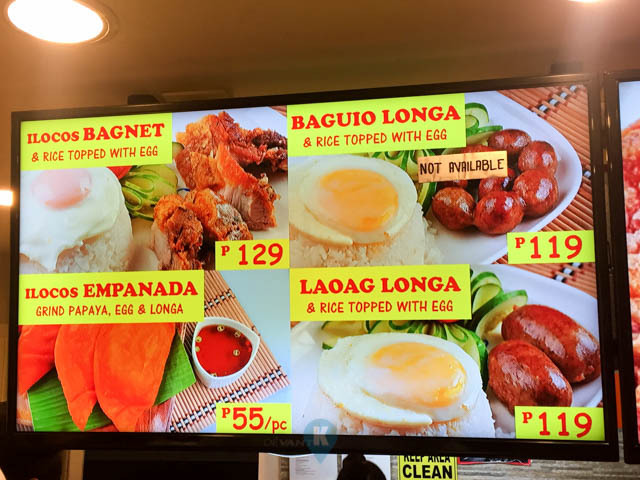 A big billboard saying Ilocos Bagnet for Php129, who could resist that great of a deal? Went up to the counter and ordered. I ordered also a Pepsi for Php50 (SM food kiosks really price soft drinks for an arm and a leg) bringing my bill up to Php179. By the way, this food strip in SM does not have a water fountain so great job SM. Did I mention when you buy bottled water among these kiosks you get SM water? On to the Cucina. Order was quick as when I was jjust ordering, their kitchen staff is already preparing it. 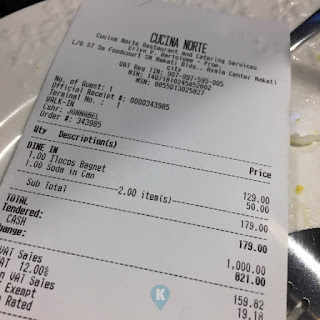 So when they give you your change, your meal is already done. That's fast service for you. As to the dining area, I can't say much as they are located in the food strip, so everything looks the same, diners are almost the same. Can't say much about ambience, its a food strip. Back to food again, my Ilocos Bagnet comes with a sunny side up egg, slices of cucumber, a spread of tomato, a cup of rice and of course bagnet. Egg was cooked well done so no runny egg yolk (this writer like the fastbreak type), the cucumber and tomato acts like to counter the after taste of the bagnet. Since I was already in Manila, I'm not keeping my hopes high for those bagnet sold here. 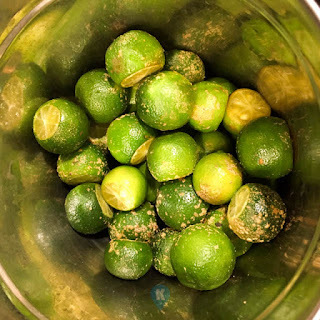 Having tasted the real one in vigan, I lowered down my expectation. 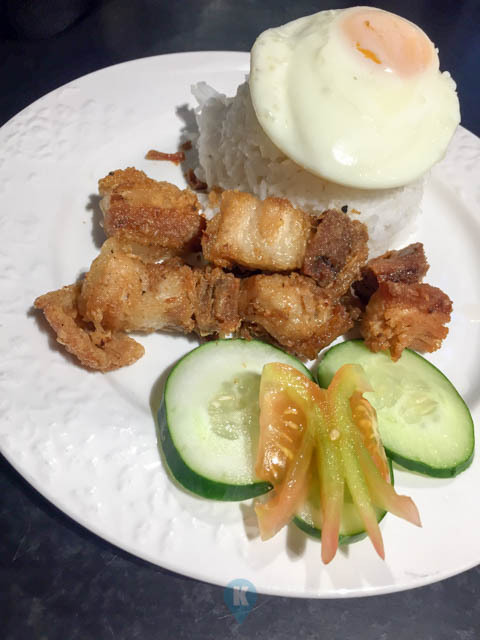 I tried one makati restaurant serving bagnet and it was fabulous, it tasted like the real deal. So when it came to Cucina Norte, I still have lowered my expectations. Glad I did. The bagnet was so fatty it reeks oil whenever I bite into it and the bagnet itself is just like the lechon kawali I usually order. I can't feel the Ilocos feel to it. The vigan bagnet skin which usually is crispy was simply plain skin. The vigan bagnet I know and ate doesn't need condiments, biting into one alone is best paired with rice. No tomatoes, no cucumber needed. Just plain rice was enough to satisfy me. Their bagnet needed soy sauce and calamansi (and a bit of chili - and I don't like chili) then pair it with rice, then finish off with a chomp of tomato and cucumber. The tomato and cucumber is really necessary to counter act the taste of oozing fat from this dish. I'm not saying that this is bad though, as there are other people like this kind of stuff. During my younger days, I love this kind of meal. I'm just describing what was served to me so you be the judge when you visit them. While savoring my meal, I noticed they had other menu items as well. Like they have the Baguio longganisa, the Ilocos Empanada, the Laoag Longganisa, Igado, Ilocos Spicy, Pork Adobo, Beef Caldereta, Dinuguan, Kilawing Puso, Pakbet, Dinengdeng, Bangus Sinigang and Pork Sinigang. Most of prices for these are not placed on the TV menu board but simply showcased on a blackboard for rustic appeal. I've seen their dinuguan and the serving size is good for two people. In the end, I've gotten my hearty meal, eating rice really fills me up and makes me happy. 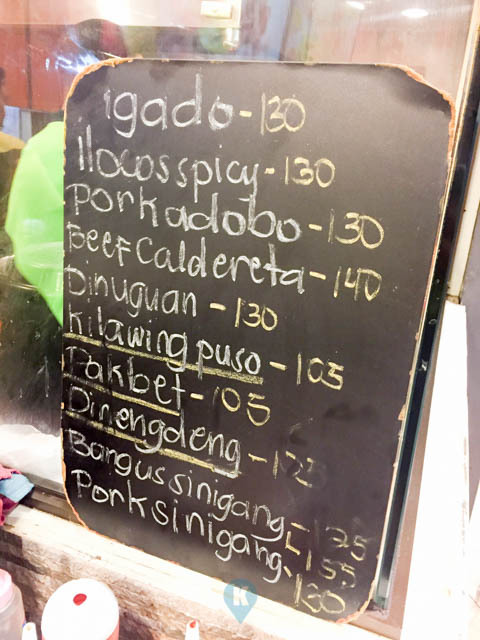 The taste of their bagnet won me over as I didn't view it as bagnet anymore but simply lechon kawali. Paired with rice, and for the price, its a great stop over when you're hungry. 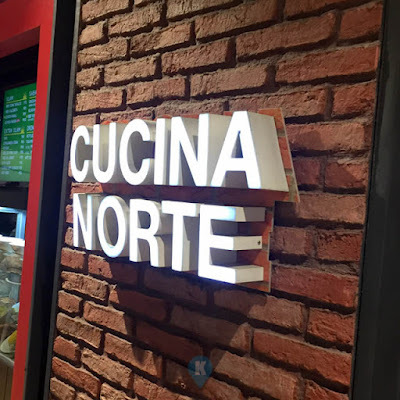 They are near the Ayala MRT station, so if you want an alternative to the food strip along MRT, simply go down SM to their basement and come here at Cucina Norte. For more details on them, visit their facebook page here. 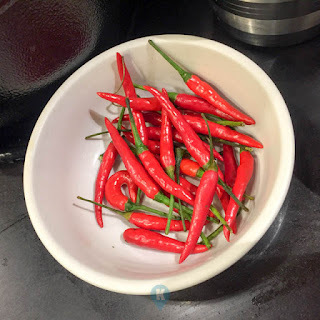 I'm not fond of chili, but this time I was.